Hridayananda Dasa Goswami shows us in this article, by analysis of a specific piece of scholarly research by Prof. W. Rau, how academic conclusions may sometimes be based on personal bias. Such bias does not lead to objective conclusions and it defeats the methodology used to gain objectivity. As explored in The First Indologists, by Satsvarupa Dasa Goswami, scholarly research into Indian and Asian religion is littered with such conclusion. It is important, as Hridayananda Dasa Goswami demonstrates here, for members of the living traditions to learn to communicate with scholars. This will develop healthy debate and add balance to the study of Eastern religion and help us develop wholistic conclusions based on representations of the experience from the tradition and the analysis of the observer. In a pioneering work, State and Society in Ancient India[i] Prof. Wilhelm Rau attempts, through a scholarly study of ancient Vedic literature generally known as the Brahmana texts, to reconstruct the political and social situation of early India. Yet even while gratefully acknowledging our debt to him, we shall critically evaluate certain basic and explicit assumptions that guided his selective listing and interpretation of the Brahmana texts, and which thus let him to construct a historical picture consistent with those assumptions. Human beings belong to the ‘herd-animals’. Like other creatures of this group, humans depend on differentiated social structures for both physical wellbeing and mental development. Philological review which seeks to establish a relative chronology of the texts. An historical linguistic study which seeks the same result through statistical analysis of vocabulary, grammar and syntax. sutra language, including ‘the bulk of the Srauta and Grihya Sutras‘, forms the fifth and final strata. 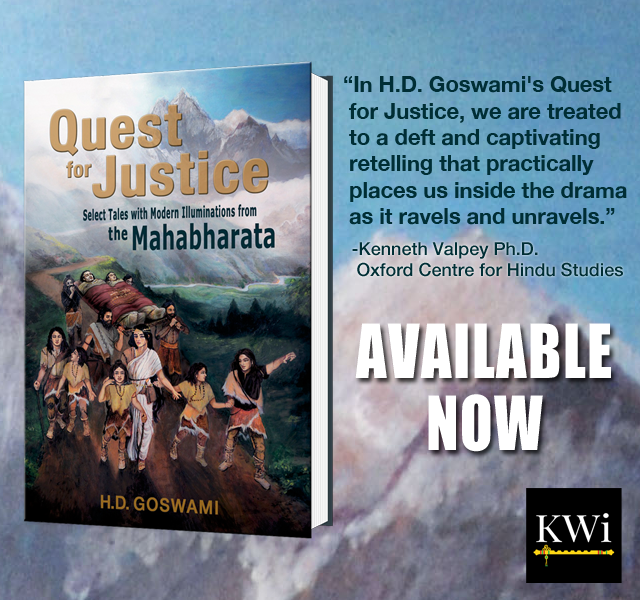 Furthermore, since the publication of Staat und Gesellschaft, Witzel and others have seriously attempted to locate the various Vedic schools in specific geographic areas. Rau, writing in the 1950s, makes no mention or use of any such techniques. In general, Rau only distinguishes between ‘younger’ and ‘older’ texts, but even this technique is applied only (if often) when Rau needs to bolster his speculative evolutionary stage model. In other words, Rau does not systematically segregate the data from various linguistic strata, geographic regions, type of literature (i.e. Brahmana Upanisad) or according to the various Vedic schools. Since Rau is anxious, as he repeatedly states, to purify his work of excessive talk on religion, he does not recognise that the texts reveal a variety of religious attitudes which themselves suggest a variety of motives and programs among the different texts, or indeed in the various sections of a single text. Rau seems content, as we shall demonstrate, to relegate (with more than a little scorn) all of the Brahmana theology to the category of primitive magic. In fairness to Rau, we should mention that he openly classifies his work as a preliminary venture into new territory, and that he expects subsequent scholars to refine and develop this work. In any case, we shall proceed through the text of Staat und Gesellschaft and point out various arguments or claims which, in my view, need to be scrutinised in terms of the four problems listed above. Let us consider some of the above assertions. Rau assures us that ‘the authors are still completely unable to construct longer sequences of thought’, and yet these texts are said to have been composed long after the exquisite poetry of the Rig-veda, which does indeed contain sentences of normal length, as well as a style of composition and complexity of ideas of extraordinary literary and religious merit. In terms of grammar, the Rig-veda displays a rather sophisticated system of verbs which was understandably simplified in later Sanskrit. Thus what does Rau mean when he says, ‘the authors are still completely unable to construct longer sequences of thought’? One would rather be led to postulate an age of advanced literary and conceptual ability which later deteriorated into the culture in which the Brahmanas were composed. One might also argue that since the Brahmanas are precisely ‘brahmanas speaking to brahmanas‘ and not to the general public, what we have are a series of notes of the inner circle. Or perhaps the coherence and syntactic significance of the seemingly unrelated pieces of utterance were known to the Vedic technocrats who worked the sacrificial fires. In that case, we might be dealing with a jargon or technical meta-language, or perhaps even with linguistic icons analogous to the visual ones on a computer screen, and which contributed to a virtual reality in the form of yajna. On the other hand, if we are attached to an evolutionary stage model, all of the above possibilities will hold little interest for us, and we will prefer to see primitive magicians speaking like intoxicated children. But in that case, how are we to explain the reality of an older, and superior strata of literature which, in my view is clearly the product of a highly developed religious and intellectual culture. Interestingly, Rau himself hints at such a possible ‘devolution in the religious life of the Aryans’, when he says that (in the Brahmana texts) ‘one speculates on the meaning of the sacrifice as a magical means to influence the course of worldly events. The gods are being dethroned and degraded to impersonal forces, which are meant to be used as order-suppliers’. The affinities of this ‘fresher approach’ with the anti-theism of the purva-mimamsa should be obvious. Indeed, Rau complains that the Brahmanas give us mere mechanistic magic, rather than faithful belief which Oldenberg sees in the earlier Rig-veda. If we combine this fact with the obvious literary deterioration that seems to take place between the Rig-veda and the Brahmana texts, one should rather be led to a theory of devolution in Vedic religion. But Rau does not consider this point. Here we have a case in which a simple statement of military commonsense, namely that one must secure one’s border on both sides, has been mobilised as a demonstration of presumed historical events and social-political realities: namely that later bands of migrating Aryans attacked and raided the land-holdings seized by previous bands of marauding migratory. I find this argument puzzling. First of all, I find the ancient Indian custom of naming the land after the people to be elegant and meaningful. Yet for Rau, ‘there were no names of the land’. Or, a name is not a name unless it is different from the name of the people who live on it. To me, this argument is in no way intuitive or logical. Although Rau somewhat frivolously claims that things ‘could only have happened in a particular way when by the common rules of logic they could not have happened otherwise’. At times Rau forces a highly improbable definition on key Sanskrit terms in order to extract an economic, rather than an ideological, cause for the way things ‘must have been’. His motive, of course, is to show that mere greed, rather than any serious metaphysical principle, was the motive of ancient Indian behaviour. A clear case in point is Rau’s decision to translate the dichotomous terms sreyas-papiyas as ‘rich man and poor man’. Sreyas is a person who possesses, as compared to others, the quality of sri to a greater extent. Indeed sri means ‘opulence, reputation based on possession’. To have many wives is a form of sri.‘The status of a house-lord signifies sri.‘ SB 5,3,3,3; 5.4.3.15: ‘When a man reaches sri, then one plays the lute for him.’ SB 13,1,5,1: Only rich men can marry several wives or pay for a lute player. We may also note that the Sanskrit word papiyas, which Rau translates as ‘a poor man’, is derived from the term papa, which as an adjective means ‘bad, vicious, wicked, evil, wretched, vile, low’ etc. The word papiyas, analogous to sreyas, means ‘very papa‘. Even in doing so, he only cites examples of sri from a single text, the Sata-partha-brahmana, a comparatively late text. It is well-known that traditionally both sri and sreyas have a wide range of meanings that go beyond mere economic affluence. Indeed according to the much beleaguered Monier-Williams Dictionary, sri first means ‘light, lustre, radiance, splendour, glory, beauty, grace, loveliness’. This sense of the word is found even in the Rig-veda. Then come the notions of ‘prosperity, welfare, good fortune, success, auspicious, wealth, treasure, riches, high rank, power, might, majesty, royal dignity’, etc. A cursory dictionary check of the comparative word sreyas does not take us closer to Rau’s definition, but rather farther away from it. Sreyas first means ‘more splendid or beautiful, more excellent or distinguished, superior, preferable, better’, etc., from the Rig-veda The word also means ‘propitious, well disposed to, auspicious, fortunate, conducive to welfare or prosperity’ etc. Curiously enough, nowhere do we find a strong sense of ‘the richer man’ or ‘the one with more money’. As noted above, if we examine the sense of papa, and of papiyas, we once again stray from the predominantly economic tilt of Prof. Rau and enter more into a religious or ethical domain of meaning. Thus Rau distorts the simple meaning of Sanskrit words in order to establish what appears to be a type of Marxist analysis that must have seemed more plausible in the 1950s when Rau did his work than it would today. Since Rau’s next topic, after defining sreyas and papiyas in strictly economic terms, is that the papiyas had to offer respect and service to the sreyas, we have here a neat and ready-made economic explanation of status relationships in ancient India. If, on the other hand, we admit for both sreyas and papiyas their much wider range of actual meanings, then we are plunged into the very situation that Rau so diligently seeks to avoid: that of explaining society, culture and government in ancient India in terms of ideology and religious beliefs about the hierarchy of being. The principle of the power of the strongest also governed the relations between the sons … as soon as the fight for the possessions of the father was ended, another fight began for the possessions of the sons; and who would be the winner was not always predictable. After all the oldest did not always have to be the strongest. Although Rau admits in his introduction that we are dealing with a long and uncertain time span, and with a comely array of texts covering different periods (and for that matter, geographic areas), a single quote suffices to characterise the historical period represented by the Brahmana literature, if the cited text indicates a suitably primitive state of society. Thus there were no cases of sons who related to one another on principles any more noble than that of greed. There were no peaceful families, nor was there spiritual self-sacrifice. Rau’s conviction that all religious stories of gods are but projections of earthly activities, leads him to conclude that in ancient India hosts could, at their sweet pleasure, sacrifice their guests to gods. ‘ … the host had full control over the guest. He could thus also use him as a sacrificial animal, as Manu did (advised by Indra) in the legend in the two quotes mentioned above. (Maitrayani Samhita 4,8,1 [4,107,12] and KS 30,1 [2,182,30]) . Rau does not hesitate to reject the claims of the Brahmana texts if, in his judgement, they are exaggerated or simply not plausible, as in the case of the large ox teams mentioned above. But he does not hesitate to accept as factual apparent indications of savagery, and indeed he tends to magnify them and to claim for them an all-pervading validity at all times and places in ancient Indian history, even when such claims are made for gods and not human beings, or when the claims appear in but a single text, or in even in a single sentence. It is almost impossible to correctly assert the position of the brahmana in the political life of ancient India, because our sources, coming from priests on this point, do not describe the facts, but depict the world as it should be according to the view of the authors. When for example the spiritual order is almost always described as the first, the brahmanas as the crown of creation, and all other people appear to be merely their fearful and thereof obedient servants, then this doesn’t say much about the real circumstances, as long as independent witnesses from other sources are not added. I find it amazing here that Rau characterised the balancing statements of the texts as ‘unintentional’, as if the brahmanas, being occasionally careless and loose-tongued, failed at times in their normal attempt to conceal the truth about their real, and subordinate, position vis-à-vis the political rulers. Yet if we assume, as Rau does, that brahmana priests were greedy magicians obsessed with self-aggrandisement and self-promotion, then we may also assume that they would invariably attempt to portray themselves as supreme authorities in the state, and so occasional admissions of the power of kings over brahmanas could be interpreted as ‘unintentional’. What do you ask about the mother or father of a brahmana? When he has knowledge about what is worth knowing, then that is his father, that is his grandfather. Astonishingly, Rau uses this quote only to reinforce a technical argument involving a point of grammar. However, if initially membership in the brahmana class was based on wisdom or knowledge, then in what sense can we say that the Vedic society was ‘evolving’, when this sensible qualification degenerated into a selfish birthright? Further, if originally brahmanas were known by their qualification of learning, or even wisdom, then it is plausible that at a time when those qualifications were taken seriously there would have been a legitimate class of learned men holding the prestigious posts of brahmanas. Since this is a real possibility, why should we constantly claim, as Rau does, that the actions and statements of brahmanas, even in early Brahmana texts, can invariably be best explained in terms of greed for power and money? Cow meat was still considered a valued food in the Brahmana period. In the list of sacrificial men, on the other hand, the butcher as cattle dismantler and cow killer is already considered a person worthy of contempt, as well as anyone who begs meat from him. ksudhe yo gam vikrntantam bhiksamana auptisthat. Death to the butcher. The god of the nether world, Yamaraja, to the cow killer. Hunger to one who begs from a cow dismantler. (VS 30,18). ksuttr-snabhyam tam yo gam vikrntantam mamsam bhisamana upatishate. ‘Thirst to the butcher. Misfortune to the cow killer. Hunger to the cow dismantler. Hunger and thirst to those who beg flesh from a cow dismantler. (Taittiriya Brahmana 3,4,16). Rau does not explain this dichotomy. We shall end this brief essay with a few comments on methodology and ‘rules of the game’. It is our contention that despite his valuable and diligent scholarship, Prof. Rau’s views on early India are coloured by a persistent, non-scholarly tendency to preach against Vedic religion. Thus he relies on reductionistic claims for which there is no conceivable empirical demonstration, and for which there is nothing remotely resembling logical necessity. A few words are in order here. If, say, in the field of biology, one affirms or denies the claim of a biologist, then one thereby claims to have a knowledge of biology. Similarly to affirm or deny the claim of a historian is to claim knowledge of history, and one’s right, thereby, to evaluate historical assertions. Exactly in the same way, to affirm or deny religious claims is to claim for oneself a knowledge of religious matters, and it matters not at all whether one is affirming or denying a religious claim. Thus the sheer volume of Prof. Rau’s declarations on religious matters, along with his unflinching faith in his unproved (and indeed unprovable) insights, adds up to a clear, unmistakable claim on his part to a privileged understanding of religious truths. Surely Prof. Rau has done a significant service to all who would seriously study Vedic texts by patiently amassing from the Brahmana literature hundreds of important quotations, and then arranging them in a preliminary order. It is not out of ingratitude that we point out his bias against Vedic religion, but rather because such an animus cannot help but influence the outcome of his thinking. So it is relevant to scholarship itself that we notice these things. We need the same rules for all Indologists. If purely religious claims can be fairly denied within the boundaries of objective material scholarship, then religious claims can certainly, in principle, be fairly affirmed within the same epistemological, procedural and methodological ground rules. For as that old proverb teaches: ‘What’s good for the goose is good for the gander’. [i] Staat und Gesellschaft im Altem Indien, Wiesbaden, 1957. Resnick, H. J. (1995, June). State and Society in Ancient India. ISKCON Communications Journal, 3(1).